Arrested for a disorderly persons offense or DWI in Belleville? The Tormey Law Firm can help. Traffic tickets can raise your auto insurance premiums and ruin your drivers abstract. An arrest in Belleville NJ can have long-lasting implications even if the charges are ultimately dismissed. Contact an experienced Belleville defense attorney at the Tormey Law Firm for a free consultation, 201-654-3464, or you can use the online contact form. A member of our criminal defense team will be happy to answer any questions you have and provide you with an honest assessment of your case. The Tormey Law Firm represents clients throughout New Jersey that have been charged with indictable and disorderly persons offenses. Including but not limited to stalking, harassment, and simple assault, in towns throughout Essex County, such as Belleville, Bloomfield and Roseland. Our managing partner, Travis J. Tormey, was named one of the ten best criminal attorneys in New Jersey by the American Jurist Institute. 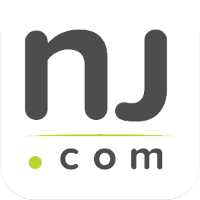 He has been cited in numerous publications including AOL news, the Star Ledger, Asbury Park Press, Daily Record, and Bergen Record. He has also appeared as a legal analyst on CBS radio with regards to domestic violence laws in New Jersey. He has a perfect 10.0 rating on Avvo.com, an attorney rating service, and has received the client’s choice award for at least the last 5 years. Mr. Tormey and the Tormey Law Firm have personally handled thousands of criminal cases in Essex County New Jersey including in the Belleville Municipal Court. Contact us today for a free consultation, 201-654-3464, or you can use the online contact form. A member of our criminal defense team will be happy to answer any questions you have and provide you with an honest assessment of your case. Belleville is a township in Essex County, New Jersey. Nearly 36,000 people reside in the township, which has a total area of 3.4 square miles. The Belleville Municipal Court is located at 152 Washington Avenue. The Belleville Municipal Court office is open Monday-Friday 8:00am to 3:30pm, and the court office can be contacted directly at 973-450-3319. Take Garden State Parkway North to exit 150 toward Belleville/Bloomfield. Turn right onto Hoover Avenue. Turn right onto Joralemon Street. Take the third right onto South Franklin Avenue. Continue approximately half a mile, turn left onto Belleville Avenue. Continue one mile, turn right onto Washington Avenue. Take Route 46 East to NJ-3 East ramp to Lincoln Tunnel/Garden State Parkway South/New Jersey Turnpike South. Keep left at the fork and merge onto NJ-3 East. Continue approximately four miles, exit onto NJ-21 South. Continue four miles, take exit 5 toward Mill Street/Belleville. Merge onto Main Street, then continue onto Mill Street. Turn right onto Washington Avenue. · The Belleville Police Department is also located at 152 Washington Avenue and can be contacted at 973-450-3333 or 973-450-3334. Click here, for more information on the Belleville Police Department. If you or someone you know has been charged with a crime in Belleville, NJ, let us help you set the record straight. Contact an experienced defense Attorney at the Tormey Law Firm for a free consultation, 201-654-3464, or you can use the online contact form. A member of our criminal defense team will be happy to answer any questions you have and provide you with an honest assessment of your case pending in the Belleville Municipal Court.